Hawaiian International Billfish Tournament Days One and Two Update of the teams that fished on the Fire Hatt shows Team Captain and Angler Masaharu Matsushita of the Kona Game Fishing Club Taiyo from Japan with his release flag for day one. 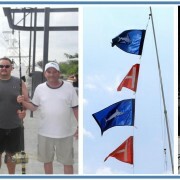 Masaharu released a 150 pound Pacific Blue Marlin on Monday and later in the day had another chance to capture a flag and the fish did not stick. We are One for Two on day one. 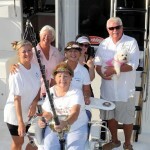 This team has been fishing the HIBT in Kona Hawaii for over 30 years. On day two, Martin and Mitchell Firestein representing the Balboa Angling Club from California were Zero for Four. We just could not get one to stick. 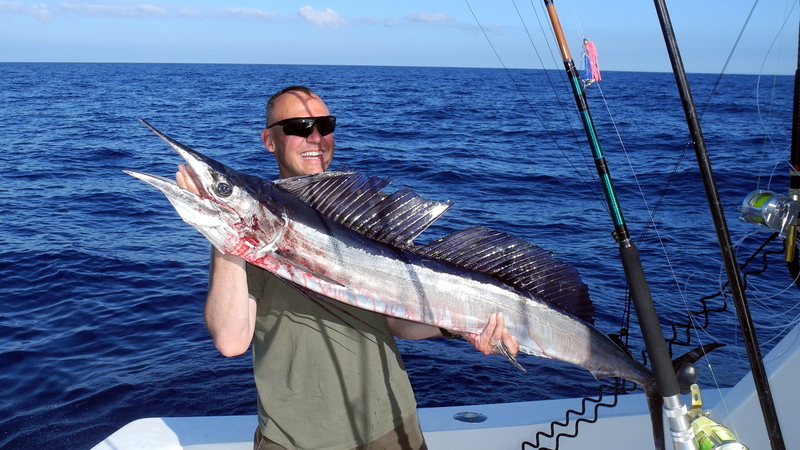 The Marlin are hitting the lures fast and furious! 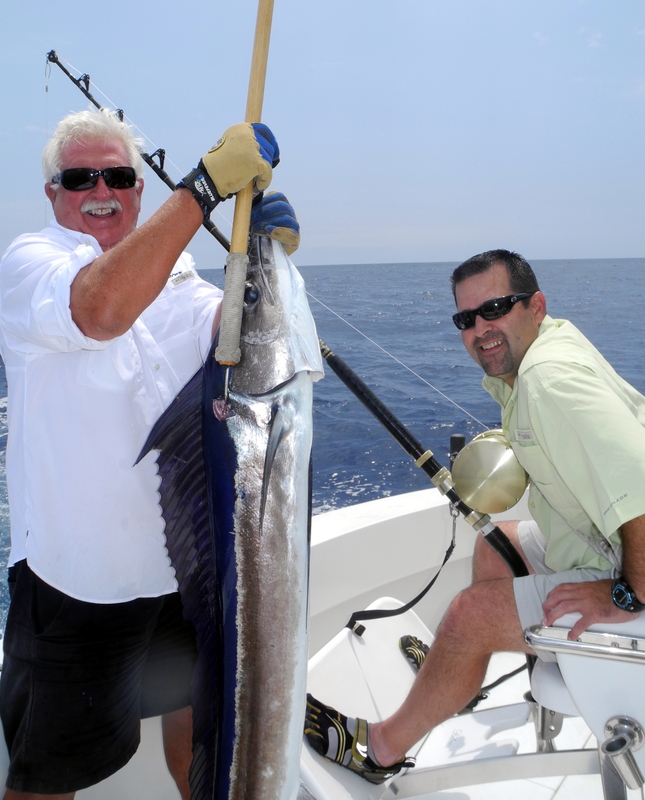 Martin and Mitchell were hoping to deploy a Satellite Tag into a Pacific Blue Marlin that will track the travels and behaviors of the fish for 120 days. The program is called the Great Marlin Race. 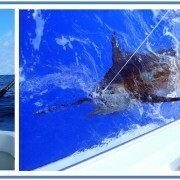 You can go to their website and get information on last years data at http://greatmarlinrace.org , Check it out. Several tags will be deployed this year.